New market research study “Retail Tissue and Hygiene 2011: International Expansion the Core of Corporate Strategies” drawn up by Euromonitor International has been recently published by Market Publishers Ltd. According to the study, the world industry of retail tissue and hygiene is extremely consolidated with top players controlling prominent market shares, though in the face of economic recession, branded manufacturers are competing fiercely. The world industry of retail tissue and hygiene is extremely consolidated with top players controlling prominent market shares. Though, in the face of economic recession, branded manufacturers are competing fiercely both organically and through external operations to retain value presence. While competition in the core BRIC countries has already become intense, less crowded frontier markets offer international players more opportunities as consumption picks up. Second-tier global players are more active in small to medium-sized acquisitions, helping with targeted business development without stretching resources to breaking point. Private label sales growth slowed down as the economic recession stabilized, indicating unmet consumer demand by these cheaper options. Besides chained retailers’ aggressive push for cheaper products, a change of direction in private label’s core competence is emerging. New market research study “Retail Tissue and Hygiene 2011: International Expansion the Core of Corporate Strategies” drawn up by Euromonitor International has been recently published by Market Publishers Ltd. 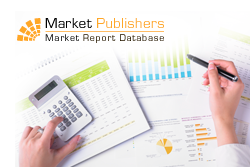 The report offers a comprehensive guide to the size and shape of the tissue and hygiene market, highlights buzz topics, emerging regions, countries and categories as well as burning industry issues and white spaces. It identifies the opportunity zones within tissue and hygiene, analyzes top companies and brands, assesses the importance of private label and offers strategic analysis of key factors influencing the market. Furthermore, five-year forecasts illustrating the market’s future development path and criteria for success are featured as well. Products covered in the study include: away-from-home tissue and hygiene, hygiene, retail tissue and hygiene, tissue. More new market research studies by the publisher can be found at Euromonitor International page.